Jason’s Deli is the fast-paced, high-volume, deli-style restaurant. We set the standard for our niche and we continue to work hard to give our employees and customers the appreciation they deserve! 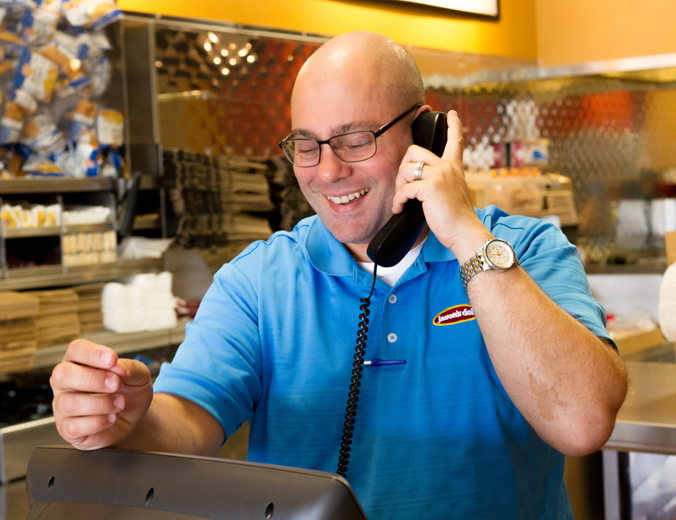 Advancement with Jason’s Deli is based on performance, knowledge and leadership. If you possess energy, drive and the will to lead, Jason’s is the company for you! Jason’s appreciates our managers, and we reward them with advancement, recognition and quality of life! Customers think of their local Jason’s Deli as “my deli,” a place where they are proud to bring family and friends while enjoying a great meal. Five-day work week. Two consecutive days off. We are closed Thanksgiving, Christmas, New Year's Day, and Easter. Paid comprehensive hands-on training program. Health, Dental, Vision and Life insurance is available. One week vacation every six months. 401(k) (after one year of employment).